(CNS) — Raised in an evangelical Christian family, a young California woman ventures abroad to study among the “dreaming spires” of Oxford University — and is introduced to a whole new world of faith. Exposed to the traditions of the Catholic and Orthodox churches by monks and nuns studying and living in local English communities, she realizes that she is moving toward an irrevocable choice. Engaged to be married at the time, she decides to enter the Catholic Church and discovers, as time goes by, that she is called to become a nun in Germany, many thousands of miles away from home. It could be a Hollywood biopic — instead, it’s the story of a real-life 30-something sister and scholar, Makrina Finlay, now a Benedictine living in a monastery in Dinklage, Germany. The overwhelming majority of those pursuing vocations in religious life in the church were born into the faith. But a small, steady stream of men and women choose first to become Catholic and then, in what is perhaps an even larger leap of faith, choose religious life itself. Twelve percent of brothers and sisters making perpetual vows weren’t born Catholic, according to a 2017 Center for Applied Research in the Apostolate report. Nine out of 10 entering religious life were raised Catholic, it said. In some cases, the journey from changing denominations to taking vows as a member of a religious community seems linear. In others, there is a close connection between a wish to become Catholic and enter the religious life. “There is no canonical law concerning the time to start the application process in regards to a discerner who was not born and raised Catholic yet became fully initiated into the Catholic faith,” Sister Deborah Marie Borneman told Global Sisters Report. A member of the Sisters of Sts. Cyril and Methodius, she is director of member relations and services for the National Religious Vocation Conference. Canon law requires that candidates show proof of baptism, confirmation and “free status” before they are admitted to the novitiate, she said in an email. 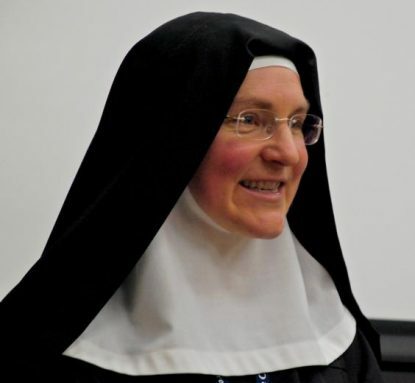 “Each religious community sets its own time — until the ‘honeymoon period is over’ and their lives and experiences enable enough maturity in the faith to make the decision to join a religious order,” said Sister Christine Still, a “charism promoter” for the Sisters of St. Francis of Philadelphia, based in Tacoma, Washington. While the small group of men and women from other faith traditions seeking her counsel included a Mormon, a Quaker and a former atheist, most were from more traditional Protestant denominations, she said. All aspirants have unique journeys, Sister Still said. That’s true for those born Catholic as well, she said. Vocation directors are looking for spiritual maturity, whether applicants are raised in the faith or not. A School Sister of Notre Dame, Sister Kathryn Frank (known as Katie), was raised in the Lutheran tradition in Wisconsin. She joined the Catholic Church several years after her marriage in 1974 because, she explains, she thought it was important for both parents to share the same faith tradition. Later, as a divorced woman in her 40s, pondering a potential vocation, she thought: “That’s absolutely ridiculous.” But in a meeting with a spiritual director from a religious order one weekend while on retreat, she shared with her all the reasons why becoming a sister would be impossible — and left with a collection of pamphlets about the religious life. The next step? To ask her daughter. “Go for it, Mom,” her daughter told her. “Then you’d be hanging around with a lot of other women who like to talk about God.” That was the permission she needed, she said. Until she became a sister, Sister Frank had never traveled outside of Cedarburg, Wisconsin, and it wasn’t until she entered the novitiate that she met an African-American. They “forged a pretty amazing friendship,” she told GSR. Sister Sandra Helton wasn’t born Catholic either. Born in New Orleans (she and Sister Frank now live in Dallas), she was the daughter of a Baptist minister. Two of her sisters are pastors, and one brother is a deacon. Though she had been most concerned about her father’s reaction, he supported her decision. Her mother, however, “didn’t take it well at all,” she remembers. In late 1997, she entered the community where she and Sister Frank crossed paths, entering a congregation that has few African-Americans, she said. “It’s countercultural. In a lot of ways I’m not in my natural element. Living with a bunch of women is not a natural thing.” As a woman of color, sharing a residence with a group of white women also has its moments, she adds. Benedictine Sister Mary Colleen Schwarz had grappled with the sense that she wasn’t at home in the conservative denomination in which she had been raised in rural Iowa. “Something was missing,” said Sister Schwarz, vocation director and coordinator of the Global On-Line Benedictine Spiritual Formation Program in the Benet Hill Monastery in Colorado Springs, Colorado. Conversations with a priest at college about the meaning of the Eucharist led to regular Mass attendance, she recalls, and eventually, when she graduated and became a nurse, to the decision to become a Catholic. “It didn’t go over too well with my family. It took a couple of years” before the tension dissipated, she recalled. While she became very involved in her parish, and felt a deep sense of belonging, in her mid-40s she began to experience what she calls “another spiritual nudging.” It was then, while she was working for Mercy Hospital in Iowa City, she said, that she encountered a Benedictine sister working as a chaplain. In the part of the Missouri Synod Lutheran tradition in which she was raised, they don’t believe Catholics are going to heaven, she said. So when her father, then 90, gave her a big hug and said he would see her in heaven, “it was the love I needed to hear,” she said. For non-Catholics pursuing a vowed life, there can be multiple challenges, from parental opposition to the difficulty of entering an alternative culture with unfamiliar rules. But no one interviewed here expressed ambivalence or regret about where their choices had taken them. Evans is a religion columnist for Lancaster Newspapers Inc., as well as a freelance writer.